2017 Harris Solstice RD 260 The Solstice RD 260 is a modern take on the double-decker style pontoon boat. For starters, the Solstice RD 260 comes with larger 27-inch diameter pontoon tubes and maintains the standard beam width of 8.5 feet so it will fit in a standard boat slip and wont require a custom trailer. The fiberglass slide is designed to keep users away from the engine, and juts outward for safer entry into the water. EVA foam pads the rungs of the ladder, providing soft and sure footed access to the top deck. The sun deck can be a great place to catch some rays while listening to your favorite tunes via two upper-speakers and additional stereo controls. Two of our most popular floor plans are available on the Solstice RD 260: the CWDH center walkthrough with dual helm seats and the DLDH dual rear-facing loungers with dual helm seats. Even with the taller profile of the RD 260 it has a very stable ride, provided by the larger diameter tubes and carefully engineered weight distribution. Get ready for endless days of fun sliding down the slide and letting the sun dry your skin on the Solstice RD 260. Please note: This boat model may or may not be in-stock. A Nationally Advertised Price, if listed, may change without notice or include accessories not fully described herein. Please contact your local, authorized dealer for exact details on model availability and package pricing. 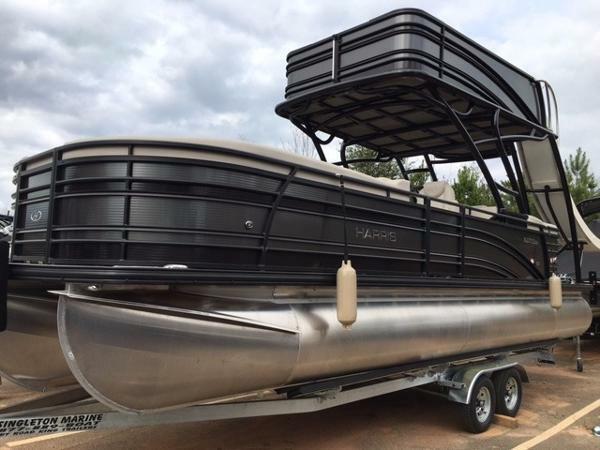 2016 Harris Solstice RD 260 The Solstice RD 260 is a modern take on the “double-decker” style pontoon boat. For starters, the Solstice RD 260 comes with larger 27-inch diameter pontoon tubes and maintains the standard beam width of 8.5 feet so it will fit in a standard boat slip and won’t require a custom trailer. The fiberglass slide is designed to keep users away from the engine, and juts outward for safer entry into the water. EVA foam pads the rungs of the ladder, providing soft and sure footed access to the top deck. The sun deck can be a great place to catch some rays while listening to your favorite tunes via two upper-speakers and additional stereo controls. Two of our most popular floor plans are available on the Solstice RD 260: the CWDH center walkthrough with dual helm seats and the DLDH dual rear-facing loungers with dual helm seats. Even with the taller profile of the RD 260 it has a very stable ride, provided by the larger diameter tubes and carefully engineered weight distribution. Get ready for endless days of fun sliding down the slide and letting the sun dry your skin on the Solstice RD 260. Please note: This boat model may or may not be in-stock. A Nationally Advertised Price, if listed, may change without notice or include accessories not fully described herein. Please contact your local, authorized dealer for exact details on model availability and package pricing. 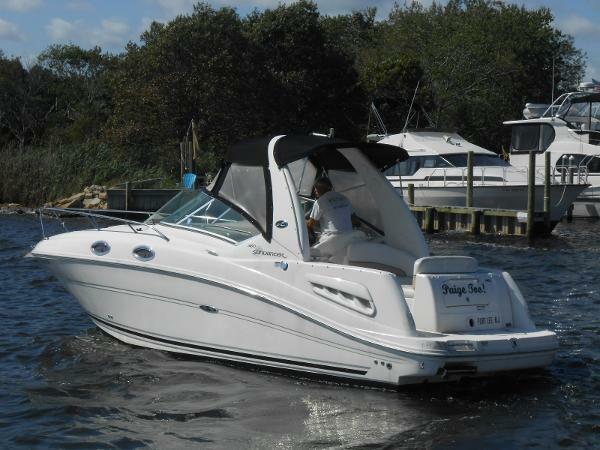 2008 Sea Ray 260 Sundancer HIgh-style express combines sleek profile with top-shelf amenities, and sporty performance. Well-appointed interior with cherry cabinetry, posh décor sleeps 4 adults. Cockpit has a wet bar with storage, bucket helm seat and portside lounger, aft "U" lounge with sunpad filler, and walk-thru windshield. Additional amenities; transom door with storage, swim platform, sport arch with lights, near-flawless gelcoat, excellent fit and finish. 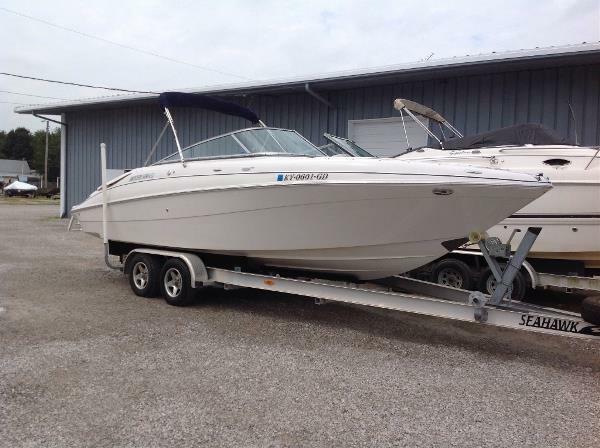 Power by a 300 Hp MerCruiser 350Mag MPI w/150 hours and Bravo III I/O. 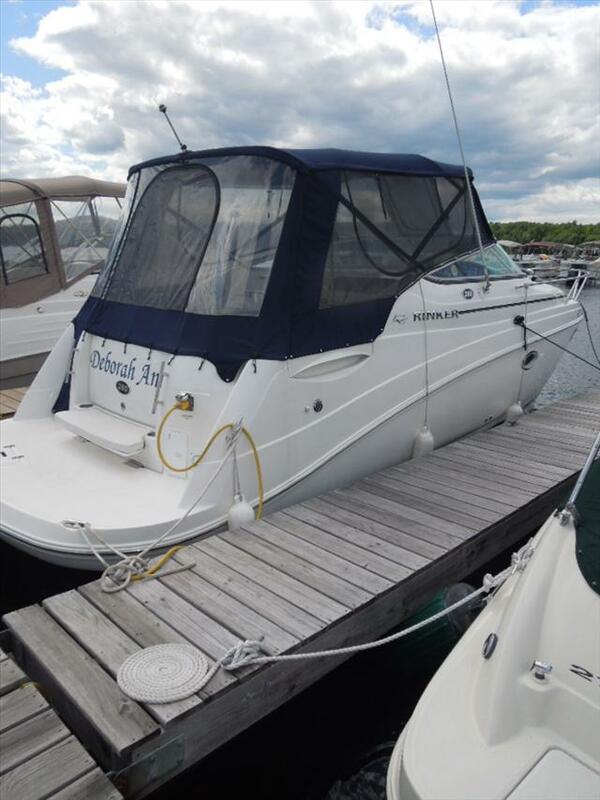 2007 Four Winns 260 Horizon 2007 FOUR WINNS H260 5.7 GXI 320 PSHP DUOPROP STAINLESS 2009 TANDEM AXEL ALUMINUM TRAILER NAVY COCKPIT & BOW COVER DOCKING LIGHTS DUAL BATTERIES WITH SWITCH PULL UP CLEATS BOW SCUFF PLATE ELECTRIC WINDOW HATCH PUMPOUT HEAD TRIM TABS ENGINE FLUSH OUT KIT DEPTH FINDER COMPASS STEREO REMOVABLE CARPET WINDSHIELD CONNECTOR Stylishly appealing ... appealingly practical ... the 260 Horizon is loaded with amenities too numerous to list. Those fortunate enough to own this spectacular craft can take pride in its elegant profile and spacious floor plan. The pragmatist will relish the quality construction and componentry, plus Extra Value Standard Features for which Four Winns is renowned. Style ... quality ... performance ... the 260 Horizon has it all. Now, so can you. - NEW ARRIVAL! CLEAN AND READY FOR THE WATER! 2016 Harris Solstice 260 CWDH - TRITOON Price shown is MSRP. Contact us for a custom quote and see how we can save you thousands! We finance and want your trade; so give us a call or send us a note using the Contact Seller form. 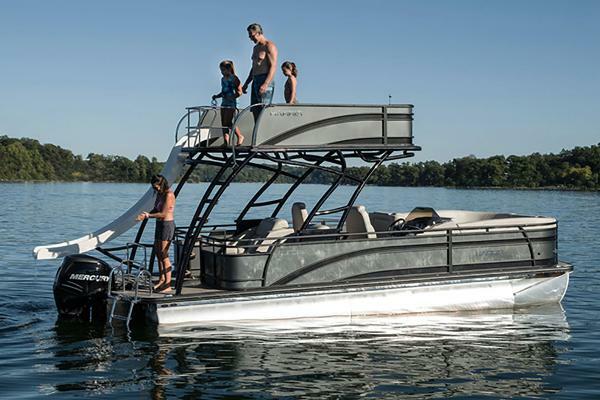 The Solstice RD 260 is a modern take on the “double-decker” style pontoon boat. For starters, the Solstice RD 260 comes with larger 27-inch diameter pontoon tubes and maintains the standard beam width of 8.5 feet so it will fit in a standard boat slip and won’t require a custom trailer. The fiberglass slide is designed to keep users away from the engine, and juts outward for safer entry into the water. EVA foam pads the rungs of the ladder, providing soft and sure footed access to the top deck. The sun deck can be a great place to catch some rays while listening to your favorite tunes via two upper-speakers and additional stereo controls. Two of our most popular floor plans are available on the Solstice RD 260: the CWDH center walkthrough with dual helm seats and the DLDH dual rear-facing loungers with dual helm seats. Even with the taller profile of the RD 260 it has a very stable ride, provided by the larger diameter tubes and carefully engineered weight distribution. Get ready for endless days of fun sliding down the slide and letting the sun dry your skin on the Solstice RD 260. Please note: This boat model may or may not be in-stock. A Nationally Advertised Price, if listed, may change without notice or include accessories not fully described herein. Please contact your local, authorized dealer for exact details on model availability and package pricing. 2016 Harris Solstice 260 RD Water Slide Wow! If you don't have many friends- you will once you throw anchor at the sandbar! 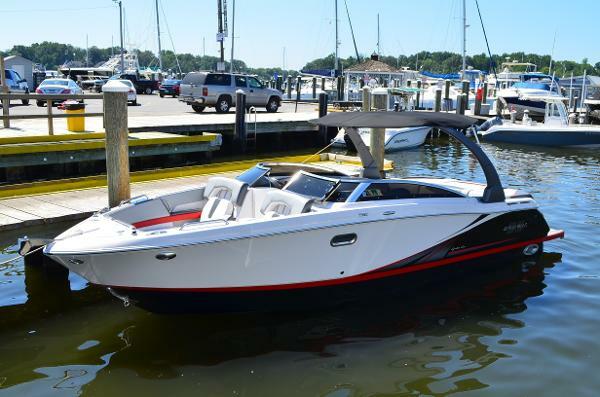 This all new Solstice 260 Rec Deck is hands down the best built boat with an upper deck. 27" pontoons and the P3 performance package are both standard, as well as 16" on center cross members, full length "M" brackets on both sides of all three pontoons, full instrumentation, just to mention a few. We have equipped this boat with a Navy Blue base color with Champagne accent, 225HP Mercury Verado, CWDH floorplan, seat covers, changing room, flip up cleats, quick release fenders, American Flag, woven teak soft touch floor, black acrylic table upgrade, ski tow bar, not to mention all the LIGHTING! The full lighting package is on this boat, and includes: lighted cupholders, lighted seat bases, ladder lights, underdeck lighting, and underwater lights. Come take a look! Brand new to the Harris model lineup is the Solstice RD 260, a modern take on the “double-decker” style pontoon boat. For starters, the Solstice RD 260 comes with larger 27-inch diameter pontoon tubes and maintains the standard beam width of 8 feet 6 inches so it will fit in a standard boat slip and won’t require a custom trailer. 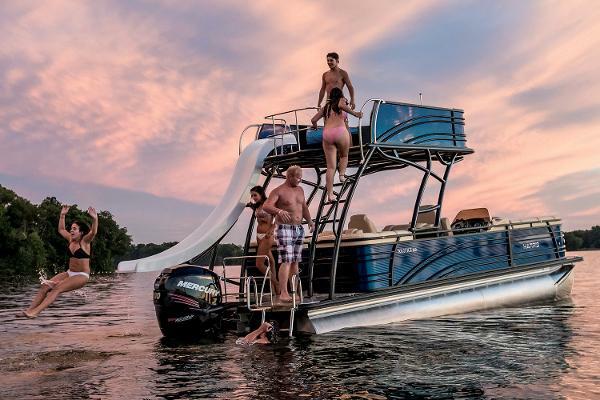 The fiberglass slide is designed to keep users away from the engine, and juts outward for safer entry into the water. EVA foam pads the rungs of the ladder, providing soft and sure footed access to the top deck. The sun deck can be a great place to catch some rays while listening to your favorite tunes via two upper-speakers and additional stereo controls. Two of our most popular floor plans are available on the Solstice RD 260: the CWDH center walkthrough with dual helm seats and the DLDH dual rear-facing loungers with dual helm seats. Even with the taller profile of the RD 260 it has a very stable ride, provided by the larger diameter tubes and carefully engineered weight distribution. Get ready for endless days of fun sliding down the slide and letting the sun dry your skin on the Solstice RD 260. 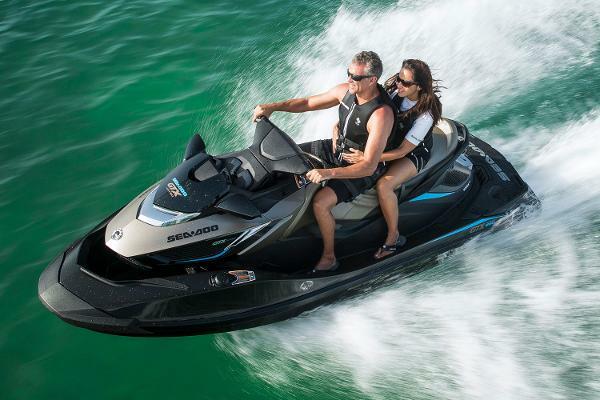 2016 Sea-Doo GTX Limited iS 260 From exclusive limited features like a custom cover, Speed Ties, depth finder and glove box organizer to its ultra-plush touring seat, the Sea-Doo GTX Limited iS 260 model represents the ultimate in luxury, comfort and convenience. All this plus an incredibly powerful engine that is sure to impress one and all. With its iControl technologies, it also offers superior peace of mind for you and your loved ones. Add on its fully Intelligent Suspension, and what you get is the smoothest, most satisfying ride you’ve ever experienced. 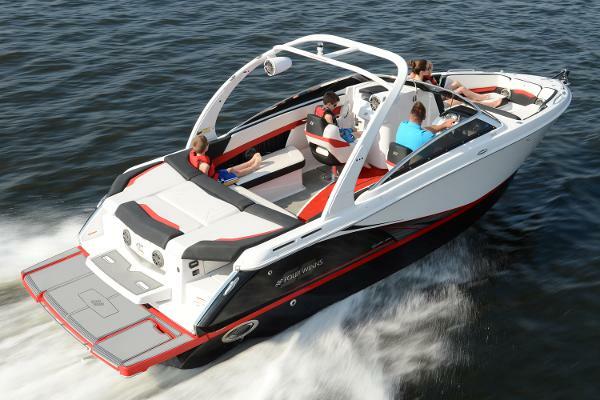 Meet the most comfortable watercraft on the market. Only the GTX Limited iS 260 comes standard with our industry-exclusive Intelligent Suspension (iS®). With the new Ergolock™ seat, plus tilt steering, cruise control and much more, it all adds up to the ultimate in comfortable luxury.Key FeaturesiControl: The “Brain’’ that integrates and controls all systems to create the best possible ride.iS (Intelligent Suspension): Allows the hull to move independently of the upper deck, isolating rider and passenger from the impact of rough water. The Intelligent Suspension features 6 inches of travel, electronic adjustment, manual or automatic modes, docking position and touring calibration for a smoother ride at cruising speed.S3 Hull®: Stepped, stable & strong. The stepped design reduces drag and keeps you glued to the water.Touring mode / Sport mode: Offers a choice between two throttle responses for different riding styles. Touring mode is the default setting offering a more progressive acceleration curve for a more confident ride - ideal for cruising and 2-up riding. Sport mode can be easily activated using the Sport button. It provides all acceleration performance for a more aggressive throttle response.ECO mode: This iTC function automatically determines the most economical power delivery and sets the optimal RPM for greatest fuel economy.Ergolock seat with stepped design: Seat with narrow profile and knee support that lets people sit in a more natural position and leverage their leg muscles to hold on to the machine for more control and less upper body fatigue. Also featuring a stepped design for more comfort and better visibility to passengers.Reboarding platform with rear storage: Easy access to battery, fuses and storage.Fold-down reboarding step: Makes reboarding from the water easier and quicker.Ski tow eye: For easy and secure attachment of ski rope.